The Rubin Museum was a delight to visit. I never heard of it and to find it in the middle of a neighborhood that I’m usually always near was a nice surprise. It was interesting hearing about how New Yorkers actually donated their house to become a museum. The art was fascinating but one feature that was particularly the highlight of the Rubin museum for me was the meditation or shrine room. Just looking at it made me feel at peace. Observing its little details and hearing about it all was informative also. I would definitely visit again if I want to find a peaceful place to let go or just think. My favorite enrichment workshop was the trip to the Rubin museum because we were allowed to wander and explore for ourselves, rather than being confined to a tour guide or stuck in a seat for an hour. I enjoyed it because I was able to choose which object to look at and for how long. I didn’t have to wait for a guide to finish talking about one thing before we could move onto the next. It was calming especially after visiting the meditation room or shrine. My favorite enrichment workshop throughout Freshman Seminar was the visit to the Rubin Museum. The long walk there was nice as well; I learned a lot more about the neighborhood. Compared to other museums, the setting of the Rubin Museum was very calm and relaxing, which made it much more enjoyable. I like how the museum dedicated itself to one specific culture. When I had the chance to walk around and explore it myself, I noticed that they really worshipped a god with a lot of hands. Almost every painting and sculpture I encountered had the same or similar figure, a man with more than a dozen hands on his left and right. The paintings often showed a village of people, and same figure directly in the middle and bigger than all the rest, just like a divine figure. It was quite interesting. When walking around, I also discovered another thing very nice about the museum. The museum had extremely clean and nice bathrooms. The sink was very cool and everything was shiny. I might even favor it over the one in my house. For anyone who didn’t use the bathroom during their free time to roam around, you really missed it. It seemed like it cost a fortune to make it like that. My favorite event in FRO was the Rubin museum visit. On this visit we were able to see different cultures art and understand a little bit about what the values of the artists were. We were able to freely roam as well as meditate with our group. This gave us the opportunity enjoy time with each other. We enjoyed fine art yet were able to socialize as well. It didn’t take very long and it was highly enjoyable. That was my favorite trip in FRO. At first it was really easy, but around the middle of the semester the work started to pile up and I didn’t manage my time very well. I had to stay up to do all the work since all the due dates all fell on the same week. I started getting less and less sleep but hopefully I can work it all out before next semester. I am usually the type of person who hates going to museums because I find them really boring. All I do is walk around and look at paintings or sculptures that do not mean anything to me. These paintings or sculptures make me want to fall asleep. Then, I leave the museum and find the nearest Starbucks to wake myself up. However, there was something different about the Rubin museum. Its odd shaped staircase fascinated me the moment I entered the building. The map on one of the walls of the building was quite interesting to observe as well. What really caught my attention was the meditation room. I have never meditated before, and attempting to meditate in the little corner of the museum that played calm music was very relaxing. I remember I was having a bad day when we visited the museum because I had hurt my ankle and I was not able to walk fast. Meditating in the museum and listening to the calm music helped me forget about the pain in my ankle and about everything else that was stressing me out. In the future, I plan on visiting the Rubin museum again and attempting to meditate. 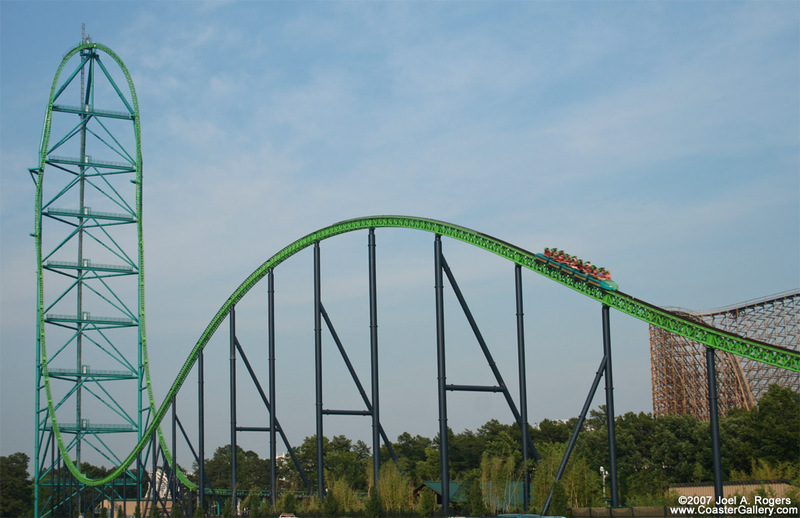 I would compare my first semester of college to Kingda Ka, one of the scariest roller coasters at Six Flags, Great Adventure. Initially, I was very scared because I did not know what the experience would be like. During the experience, there were many ups and downs. There were times when I was very relaxed because I did not have a large amount of work to do. There were also times when I was overwhelmed with work. I remember a few weeks ago I had a history quiz, a philosophy test, and a speech to present on the same day. However, like the roller coaster, I enjoyed my experience as a first semester freshmen at Baruch. In the end, it was all worth it. I have made some friends that I hope to be in contact with in the future. I have also had great professors who have taught me a lot about college life and time management. I would not have wanted to spend my first semester as a Freshmen at any other college. The first few weeks of college were pretty good. I did most of the assignments and read the assigned readings. But I stopped. All of a sudden I found all the readings to be long and tedious, and I couldn’t stand reading for hours each day. I realized that I had Friday off, so I decided that I would just read all the readings that I missed on that day. I thought it would work, but it didn’t. It didn’t even work for the first week. The following week, I told myself I would make up my readings on the train rides and on that Friday. It wasn’t long until I realized that I stopped reading for any of my classes. I think I read most the assigned readings for the first month of class, and every reading after it was left incomplete. Now it’s a week away from finals week. I never read a single thing after the 2nd philosophy test and I have so many readings left for anthropology that I cannot even count them with my fingers. I also have a history paper to write based on information from the Bible which I barely looked at. This last week of college is going to tough. Finally decided not to be lazy and draw something even though I was supposed to be writing that English paper when I started it yesterday. I had this insane urge to doodle so I whipped out PaintTool SAI. Somehow, I’ve unintentionally drawn someone who looks a lot like one of my best friends. So in the end I decided, heck, I’ll dedicate it to her. The title of this piece is called “Breezed”; I think its a nice name for it. 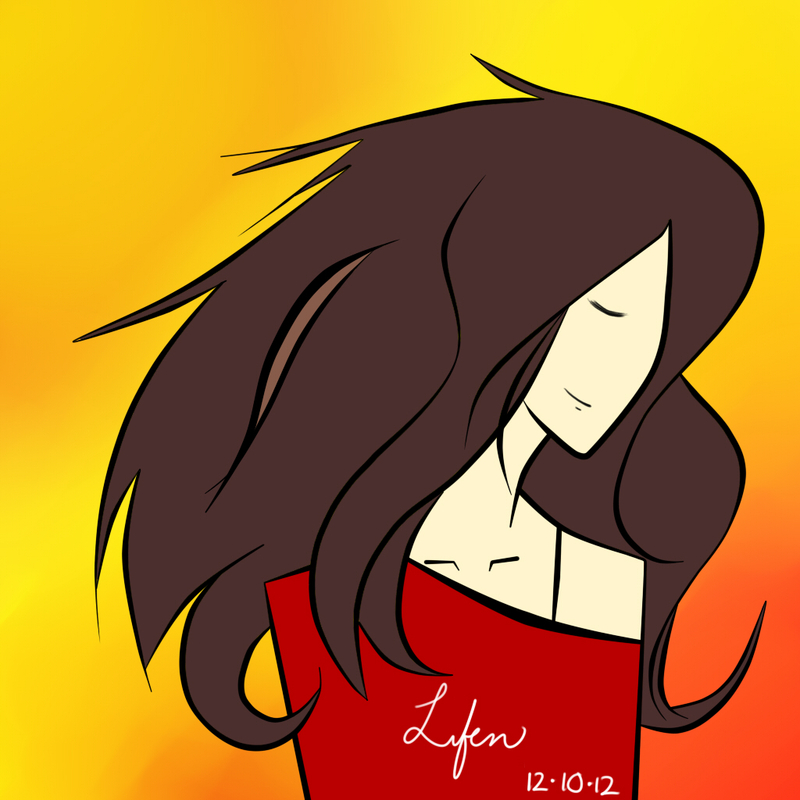 Lifen isn’t her name; its my signature. Powered by WordPress MU & designed by Stephen Reinhardt. Theme pack from WPMUDEV by Incsub.